Overlooking 100 acres of woodland and full of 16th century charm the Copthorne Hotel Gatwick Airport combines tranquillity with modern facilities and ease of access to the airport. All rooms are en-suite and equipped to match the 4 star hotel rating, with the standard room covering a generous 237ft2(22m2). 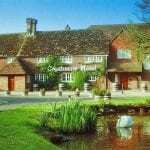 The Copthorne Gatwick Hotel also offers Family, Club and Executive rooms. Accessible rooms are available for guest with additional requirements. You will be spoilt for choice for dining options, with four restaurants and bars to choose from. The Lion d’Or offers and extensive a la carte menu with fine wines and traditional British food, there are choices to satisfy all tastes and budgets. The Brasserie offers lighter meals through-out the day with the Library Bar and the White Swan pub providing bar meals, drinks and cocktails. 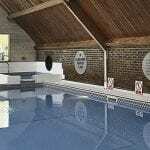 In conjunction with LA Fitness the Copthorne Hotel Gatwick features a 15 meter indoor heated swimming pool, solarium, gym, tennis and squash courts.